Ben Murphy has survived surgery and is in recovery now. However during this time he cannot work and continues to remain at risk of being evicted. He needs a minimum of $150 by September 30 otherwise he may loose his internet. Please continue sending in your donations so he can remain in his apartment, buy food, and pay his utility bills in his time of need. Ben is suffering from hunger again. Please help with what you can. Donate To Help Ben Now! If you prefer to donate using paypal please send the funds directly to benjaminericmurphy@hotmail.com . Ben has received just enough funds preventing him from being homeless. Thank You Everyone who helped out. 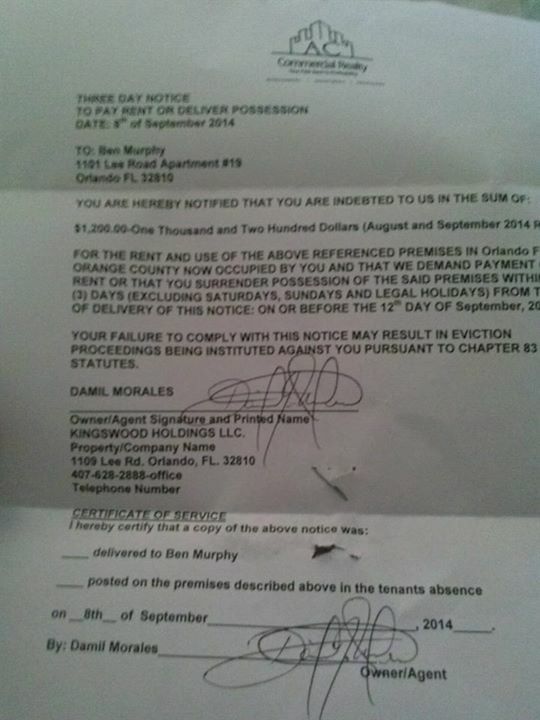 Ben has been given a three day notice to pay $1200 or he is homeless by September 12. He has recently started working 2 days ago but did so against his doctors orders and was in severe pain the whole time . Can someone please help out so he doesn’t end up loosing all his possessions and in a homeless shelter. 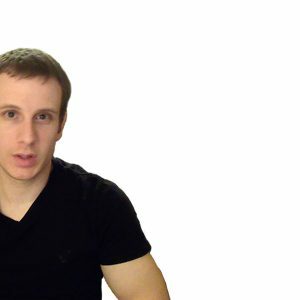 Ben needs $700 by September 16 to pay his rent. Please help with what you can. Ben is in agony and starving. Hes been given the contact information for food pantries but he says he is in agony and can not move. My friend and I recently sent him $30. He said he’d get some rice to make it stretch. Please help him while he recovers from surgery without being hungry. His phone and internet have already been turned off and he most likely will be evicted before the end of august. Thank You everyone that donated money to Ben Murphy’s fundraiser. He has successfully undergone surgery and currently in recovery . However during this time he stills to pay his rent for the next two months that he cannot work. Your support will be greatly appreciated! Dear God, can you send 3 angels to surround Ben Murphy to assist him in his recovery. One for his physical recovery, one for physical protection from physical or supernatural harm, one to assist with financial issues. I don’t know this man but Dear God I pray that you can clear the obstacles in front of him. Thank you very much. I hope this isn’t double-talk, Philip. To some, that language is a call to action for two things: 1. 3 assassins to kill Ben Murphy, and 2. 3 angel females to surround somebody else. Unfortunately, most soldiers have been trained to see females as prizes for behavior. They are not. It is not a female’s job to be a prize. That happened to me in NYC. Was working on Wall Street (Morgan Stanley) as the lead software architect on their wealth management CRM. I had developed anti-identity-theft software and was fired suddenly. One week later, I was checking into Bellvue homeless shelter. A year later, I am now in Bangkok, Thailand. Now is the time for direct contact among the targeted individuals. The tactic is to separate and prevent communication. Normal people cannot understand most of the subject matter on this website. And if they were to begin research, they would become targeted. They will likely not have the strength to handle it. I have initiated a lawsuit on the Federal Reserve. The US Govt vs. the Fed is a possible solution all normal people can handle. How did $18 trillion in debt occur? Simple remedy: the Fed can only lend what they have while Congress has time to balance the budget. That is something all human beings can understand and deal with. A public lawsuit allows the publicity of some rather “evil” legislation from over 100 years ago with culprits who died a long time ago. I have other solutions as well. the banks have direct live feed access to the court recordings. trying to fight them in their own turf is almost nearly impossible without some kind of help. DNA resonance controlled by radio waves are run through a computer with scripts psychologically matched to the target. All humans are connected with varying degrees of targeting. “True Life Stories” is another solution. Essentially telling government secrets through a public company via Hollywood, only after going through channels of all agencies. You can find that on one of my blogs.